Over the last two weeks, I binge watched Making a Murderer, which was excellent. Obviously the documentary is biased and I’m still not 100% sure of the accuseds’ guilt, but I feel certain the trials were unjust. 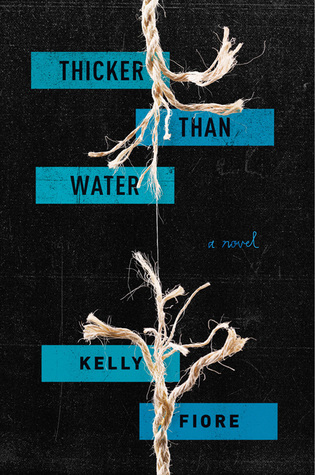 This decades-spanning story was both terrifying and utterly captivating. I recommend watching if you’re into true crime and/or criminal justice (or lack thereof). 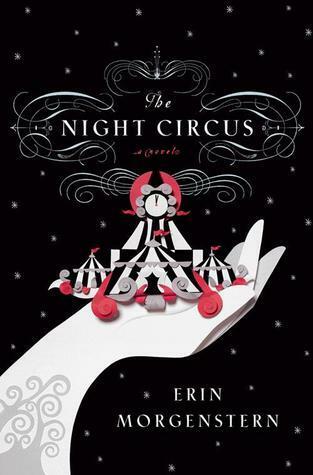 Erin Morenstern’s The Night Circus, and it is magical. I’m not sure how I missed reading it when it was first published in 2011, but I’m so happy to be listening now. It’s narrated by Jim Dale (of Harry Potter audiobook fame) and he’s just as remarkable as the story’s plot and atmosphere and prose. Okay, this is going to sound crazy, but I’m wish for snow — though not for me. (I hate snow. And winter. And being cold.) My daughter wants to sled and make snow angels and have snowball fights very badly, but so far we’ve had a super mild winter. For her sake, I’m hoping we get a few flurries soon. The beach — I’ve missed it since we moved from Florida to Virginia. I feel very lucky to have been able to enjoy these views over the last few days. The Chesapeake Bay is beautiful; even though it was very, very cold, I found seashells and sea glass and even a shark’s tooth! I hope your daughter gets her snow, too 😉 And those beach pictures are beautiful. Winter may be harsh, but it’s not without its perks. Truth! It was kind of fun to see the beach in the freezing cold. Totally new perspective. 🙂 Hope you have a wonderful week, Cole! It’s supposed to snow I think on Friday/Saturday 🙂 at least in Maryland…And I miss the retreat already. Such a wonderful time! It’s supposed to snow in NoVa this weekend too! I went out and bought a sled today, so it better. 🙂 Thanks for an awesome weekend, lady. Let’s get together again soon! Oh! I have THE WEIGHT OF FEATHERS, too, and I can’t wait to read it. Might be the next book I pick up, actually. We’ll have to compare notes! Hope you have an awesome week, Rachel! You may get your wish for snow soon! The forecasts are currently all over the place for this weekend, but Northern VA might get anywhere between an inch to a foot (gotta love the accuracy hah). Your framed art is awesome!!! I saw that forecast — yikes! I did go out and buy a sled today, so we’re prepared. 🙂 Hope you have an awesome week, Jennifer! Me too! We bought carrots today with the express purpose of using one for a snowman’s nose. Hopefully it works out! 🙂 And yes, Tracey was so incredibly thoughtful to send that gift. I love it so much! Have a lovely week, Leandra! Oh the Night Circus! How I adore it. I have secretly cast Casey Paige to be young Poppet. Your writing trip looked so fun, glad you had a good time. The package was lovely. I love the framed quote, what a nice idea. Will try and send some snow your way. We have a lot here at the moment. Although our snowman making attempts have not gone well. I think it might be too fine to build with! We’re listening to the Harry Potter books. It’s funny hearing Jim Dale read them, as I am used to Stephen Fry. He’s very good though. Don’t send us TOO much snow, Alexa. 😉 Hope you have better snowman luck next time. Have a wonderful week! The Night Circus is SO fabulous! I hope you enjoy it! Tracey is the best! What a wonderful gift. I also love your beach photos! All three of those are just stunning. Tracey is TOTALLY the best. 🙂 And thank you! The Chesapeake Bay is surprisingly picturesque. Have an awesome week, Alice! I’m jumping back on the Currently bandwagon! Such a sweet framed print from Tracey! ❤ And I loved seeing all the photos from your writing retreat. Sounds like it was a productive weekend…happy to hear your KISSING MAX HOLDEN edits are going well, too! The photos you guys posted from the retreat looked awesome! Sounds like you had a great time 🙂 I also saw the Max & Jillian gift on Instagram. That Tracey, she’s awesome. After watching you and her go back and forth on Twitter, I’ve decided to get back into blogging by joining your currently trend 🙂 So thanks for the inspiration! I’m so glad you’re jumping in on this week’s Currently post, Liz. I can’t wait to check out your update! Our retreat was a blast, and I actually got a lot done, too. Crossing my fingers that someday you and I can retreat together. 🙂 Have a wonderful rest of the week, lady! So happy you like the gift! I love that line and how it’s repeated throughout the book. Congrats on finishing your first round of revisions!